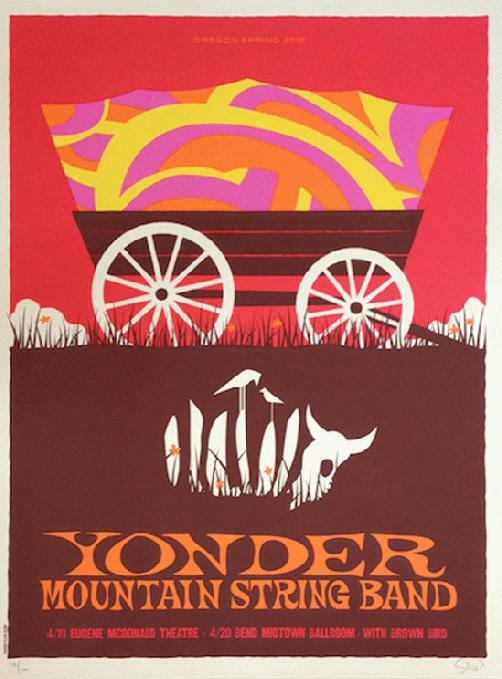 Original silkscreen poster for Yonder Mountain String Band at The Midtown in Bend, OR and The McDonald Theater in Eugene, OR in 2012. Designed by Dan Stiles. Signed & Numbered in a series of 100. Measures 18x24 inches.